en-suite bathrooms, turfed and fenced lawns and security systems. Perfect if you are looking for a dream new home in Yorkshire. Why buy a new home in Yorkshire? One of the largest and greenest counties in the UK, Yorkshire is the ideal place for a new home buyer; some of the countries most spectacular countryside is to be found here including the Yorkshire Dales National Park and North Yorkshire Moors. For new home buyers in Yorkshire, cities and towns like Leeds, Sheffield, Halifax, York and Huddersfield offer a fabulous array of cultural, shopping, dining and business opportunities. If you are looking to buy a new home in Yorkshire, you can expect great local facilities and amenities. Superb education opportunities, welcoming pedestrian streets and a rich diversity of cultures make Yorkshire a great area to move to. This stylish new home development for sale in Yorkshire is well placed to benefit from exceptional business and industry opportunities that the region has to offer. Buying a new home in Yorkshire means a vast choice of employment opportunities, all within easy reach of your new home. Transport links in Yorkshire are well served by local and national road and rail networks with the M1 and M62 giving excellent access to the rest of the country. For international travel, Leeds Bradford and Manchester Airport are easily accessible. Yorkshire – a great place to look for a new home! 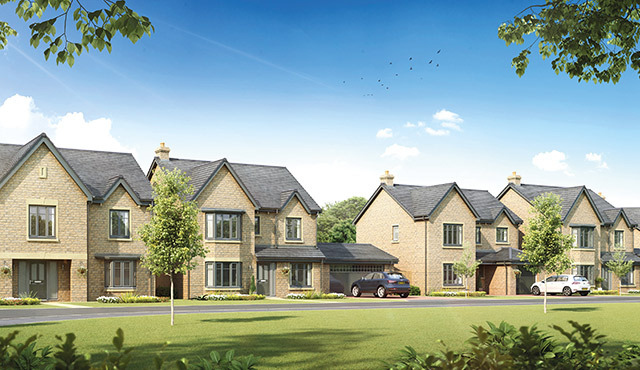 Contact us today for more information on these prestigious new homes for sale in Yorkshire.